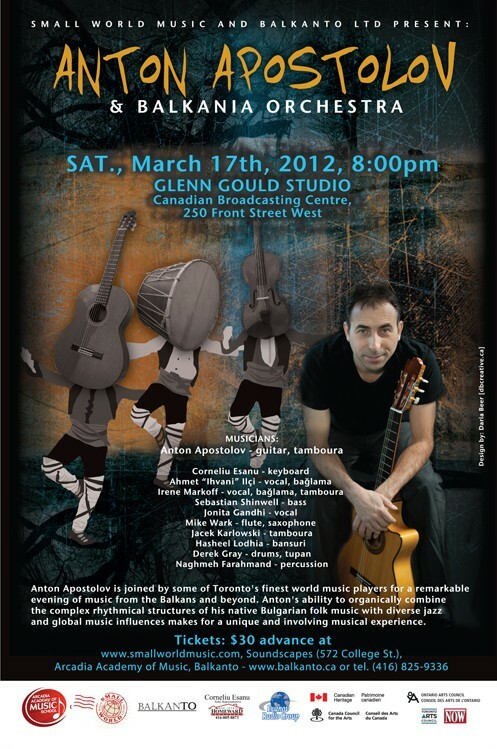 Anton Apostolov is joined by some of Toronto’s finest world music players to celebrate the remarkable CD ‘Balkania After the Rain’. Anton’ s ability to organically combine the complex rhythmical structures of his native Bulgarian folk music with diverse jazz and global music influences makes for a unique and involving musical experience. MARCH 17, 2012 @ 8p.m.